Si ya estás decidido, toca hacerse la siguiente pregunta: ¿cuál de los dos me compro? La respuesta es clara y contundente: el Redmi 5 Plus. En primer lugar, porque su tamaño no es muy superior -y pesa solo 23 gramos más- y ninguna de las versiones va a gustar a los amantes de los terminales pequeños. En segundo, porque la diferencia de precio es muy pequeña y, sin embargo, el incremento en el rendimiento es enorme. Mejor procesador, más memoria RAM y ROM, mayor batería, e incluso un doble flash que marca la diferencia en las imágenes tomadas con poca luz. Un consejo final: huid del color dorado. A solid phone giving good performance at a very affordable price point. For what you’re paying, you’re getting a very good bargain. The Redmi 5 is a promising smartphone for its budget. The smartphone has its highs and lows but for those looking for a sleek and smooth smartphone within a budget should consider the Redmi 5 as a suitable option. The Redmi 5 is definitely one of the more powerful and power-efficient offerings in the budget segment but the novelty of the phone is marred by Xiaomi itself thanks to the more powerful Redmi Note 5 at around the same price. The base variant of the phone isn’t powerful enough to match the requirements of an average power user while the top variant is only Rs 1,000 less than the top variant of the Redmi Note 5. As you can see, Xiaomi’s weird pricing sees the Redmi Note 5 cannibalising the Redmi 5 despite being a great feature-packed offering. Xiaomi needs to figure out some clear margins and come out with fewer variants to avoid such problems in the future. The Xiaomi Redmi 5 comes with a starting price tag of Rs 7,999. The smartphone definitely offers improvements when compared to the Redmi 4. The smartphone offers better display, design and camera, which makes it a good buy under this price segment. You will not find any other smartphone in this price segment with these features. In our opinion it is an all-round smartphone with all the essential features. However, if you are willing to spend more then you can go for the Xiaomi Redmi Note 5 which comes with a starting price tag of Rs 9,999 and offers a better processor and a larger battery. The Xiaomi Redmi 5 goes on sale every week exclusively on Amazon.in as well as Mi.com starting at Rs. 7999 for the 2GB RAM with 16GB storage version, Rs. 8,999 for 3GB RAM with 32GB storage version and Rs. 10,999 for 4GB RAM with 64GB storage version.It also comes with Rs. 2200 cashback offer and 100% additional 4G data for Reliance Jio customers. To summarize, here are the pros and cons of the smartphone. The Xiaomi Redmi 5 is just an average device which fails to impress in Camera and Battery department. Also, at a time when the Android world is talking about Android 9.0, Redmi 5 is still based on Android 7.0. Our recommendation would be, to spend an extra Rs 1,000 for the Redmi Note 5 if you are interested in buying only a Xiaomi product, otherwise, options are many. So how good is the Redmi 5 in this segment? Redmi 5 is priced Rs 7,999 for 2GB variant, Rs 8,999 for the 3GB variant and Rs 10,999 for the 4GB variant. The Redmi 5 is a good upgrade for the Redmi 4 with better 18:9 display, more powerful chipset and also improved cameras. But in terms of battery performance there is a slight downgrade and also the lack of Oreo is a letdown. Even then, the Redmi 5 offers good value for money and we would recommend buying the Rs 8,999 variant with 3GB RAM in case you are looking to buy one. Xiaomi's success story, in India, is well worth a study. The Redmi 4 is a major part of that success story. It's done wonders for Xiaomi, and the smartphone market in India. Which is where, its successor becomes all the more important. The Redmi 5 has some big shoes to fill, and because it keeps (intact) all the things that made the Redmi 4 so (very) likeable, and tries to add a modern twist to it, courtesy its near bezel-less design, chances are we may just have another winner from house Xiaomi. It did, as far as our review, is concerned. Xiaomi will undoubtedly sell massive numbers of the Redmi 5, and you do get a lot of bang for your buck. As usual, the Chinese giant continues to offer specifications that will be very hard for competitors to match. The processor is powerful enough to last for several years, and you get the 18:9 screen that most people want in their next phones. It's likely that the middle variant, with 3GB of RAM and 32GB of storage, will be the most popular. This is the one we used for our review, and we would spend the extra Rs. 1,000 over the base model because 2GB of RAM doesn't seem like much for even low-end Android phones these days. Unfortunately, we can't yet say for sure how different the experience would be with either 2GB or 4GB of RAM. From the games we checked out, it’s a worthy option. Unless of course all you play is Grand Theft Auto San Andreas, whose issues can be pinpointed to the fact that its creator Rockstar isn’t interested in updating it any further. This aside, the combination of an efficient processor and a well-thought out design made gaming a treat. That being said, it will be interesting to see how it will stack up in the future with the likes of Fortnite on the horizon. Right now though, if you’re planning to check out Xiaomi’s latest and you’re an avid gamer on the go, the Redmi 5 has you covered. Do stay tuned to Gadgets 360 for a comprehensive review of Redmi 5’s overall capabilities. Vivo has once again stepped up its game when it comes to releasing powerful mid-range devices. Compared to the V7+, the V9 is definitely more powerful, looks better, and comes with features that are normally found in more expensive devices. Xiaomi Redmi 5 is the younger sibling of the Redmi Note 5 offering almost the same design. However, on the specification front, it does offer a set of improved configuration comparing it with the predecessor, Redmi 4. In terms of competition, the device will face a stiff competition with the Infinix Hot S3, Micromax Bharat 5 Pro and more. Redmi 5 First Impressions: Yet Another Winner for Xiaomi? Stay tuned to Gadgets 360 for our extensive review of the Xiaomi Redmi 5, in which we will test the phone's cameras, performance, software, battery life, and value for money. 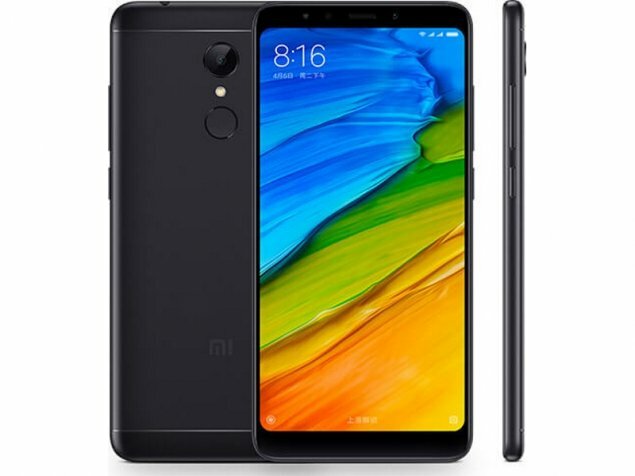 After launching the Redmi Note 5 and Redmi Note 5 Pro, Xiaomi’s third Redmi smartphone comes to India with the new FullScreen design and expanding its portfolio. The Redmi 5, which is the successor to the Redmi 4 we saw last year, is now slimmer, bigger in screen size, and upgraded to Snapdragon 450. Check out the new Redmi 5 below. Redmi 5 is an upgrade to Redmi 4, the design is different. The only issue is the camera that is just average, not sure if the same can be improved after the update, let’s see. But apart from that this is another great buy. 86% Test du Xiaomi Redmi 5 : le meilleur smartphone à moins de 200 euros ? 0.157 kg: Este peso es típico de smartphones. 81.05%: Esta evaluación es para ser considerada como promedio, porque la cantidad de portátiles con mejores evaluaciones es casi la misma que la cantidad con evaluaciones peores.